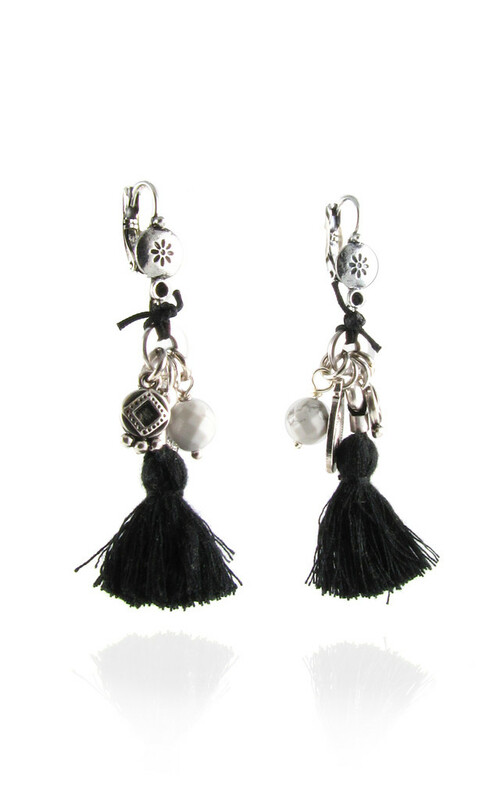 Multi charms and a black tassel hang as a cluter from a metal donut. An etched disc top is on a fixed wire which hangs neatly from the ear. A black cord ties the top and bottom together. A bold look, but light weight to wear, these earrings are an all day option.